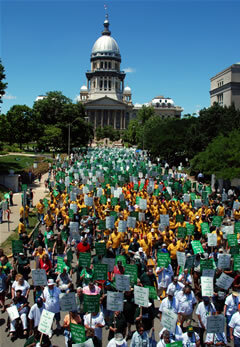 Last week, an agreement was struck between Governor Rauner’s Administration and Union leaders that will keep negotiations going between the two parties and prevent a lockout or strike. 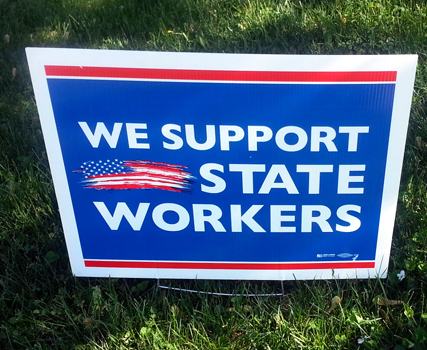 “This is the second guarantee in the past three weeks from Governor Rauner to state employees that negotiations will continue and a lockout or forced strike will not occur,” said Davidsmeyer. The agreement signed last week is a tolling agreement. It extends contract negotiations until a compromise is reached. Two previous extensions have been signed. If both parties, the Governor’s Administration and Union leaders, agree that an impasse has been reached then an appeal will be sent to the Illinois Labor Relations Board (ILRB). Employees will not be locked out, forced to strike or lose their paychecks.